Collateral. The value of the real estate securing the loan. You can often find this information out for free by accessing the property appraiser database for the County and State in question. You should receive an appraisal from a licensed Appraiser. Be aware that some appraisers can be over optimistic. 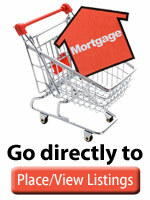 We recommend you only loan against properties within a reasonable driving distance. And drive by them FIRST and the comparables given by the appraiser in his appraisal report . Make sure the appraisal is certified to you, not just to the mortgage broker. A hint that the appraiser is trying to mislead you is the DISTANCE between the property and the comparables he uses. For ordinary homes in ordinary subdivisions it should be possible to find recent comparable sales within 1/4 mile or less from the subject property. If the appraisal is quoting home sales from further away, it is quite likely that he is “cherry-picking” comparables to justify too high an appraisal. Write to the appraiser and tell him in writing that your loan is solely going to be based on the value of the real estate. Ask him to confirm in WRITING that he is aware that your loan is going to based solely on the value of the property and that in his opinion the property should sell in a forced sale for no less than 90% of the appraised value. You can even pick your own appraiser to do the appraisal and tell him that you would sooner turn down a loan than lend too much. If you are a regular investor with a mortgage broker ask them to offer the loan to you first before having an appraisal done, as you will want to use your own appraiser and this will save the borrower paying for two appraisals.